Miles Franklin’s President and Co-Founder, Andy Schectman, was interviewed this week by Eric Angeli of Sprott Global Resource Investments, one of the most respected firms in the Precious Metal investing arena. In it, he discusses the current state of the retail bullion industry, in this must read interview. 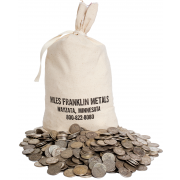 To help investors better understand the nature of buying and taking delivery of precious metals through a reputable bullion dealer I sat down with Andy Schectman from the Miles Franklin Group to ask what questions people should be asking their physical dealers. Andy has been a client and friend for a long time and I turn to him when clients ask me questions about precious metals that I cannot answer. E.A. : So Andy, it seems that not a week goes by where I don’t read an article talking about how massively undersupplied the US mint is and their failure to accurately forecast demand for precious metals. If they didn’t have a monopoly on the minting of US bullion, competition would have put them out of business a long time ago simply by employing a more sophisticated system of real-time supply chain management. One of the first things they teach in business school is identify the bottlenecks in your supply chain if you want to maximize sales. But aside from the obvious conclusion that the US Mint is an organization run by an arm of the government and hence should be assumed to be woefully inefficient, what else might be taking place that leads to this seemingly massive imbalance? A.S.: Since late 2007 the US mint has been the model of inefficiency by continually suspending, or restricting, sales to its wholesalers. The confusing thing is that these physical gold and silver shortages continue to show up despite falling prices. Typically falling prices are associated with excess supply, but not in this market. In the third quarter of 2015 the U.S. Mint sold 14.26 million Silver Eagles, the highest on record. 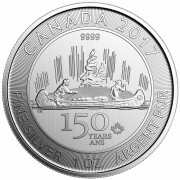 At the same time the Royal Canadian mint was limiting sales, in fact they did so most of the 3rd quarter. This while experiencing all-time record monthly sales in July, August and September. The bottom line is that even with minimal main stream participation, all too often this industry can only get a fraction of what could be sold. Mark my words, a day will come (which I suspect is quickly approaching) when this lack of supply will be the defining characteristic of the physical precious metals market. Those late to the party will find it very difficult and expensive to get. E.A. : Another question I regularly get from clients is if there is such a steady and seemingly unmet demand for physical metal, why doesn’t the paper spot price moving higher? Why does it seem like there are two different markets for precious metals? The paper market shown by the daily fluctuating COMEX price versus the price a buyer must pay when they want to actually accept deliver? A.S.: There is most certainly a disconnection between the paper price and the physical demand. That type of dislocation screams of manipulation and misdirection. Big money is misdirecting the public by levering down the paper price of gold and silver while gobbling up the world’s supply of physicals at greatly subsidized prices, and without the main stream competing with them for what little supply exists. After they accumulate all of the physical metals possible they will just cover their short positions with more paper and let the price run to the upside. JP Morgan is a prime example. Ted Butler surmises that over the last three years, JP has stockpiled north of 300 million ounces of physical silver in their house account, the largest stockpile the world has ever seen, as the silver price has fallen precipitously. E.A. : I’m reminded of a quote from the late John Pierpont Morgan, “gold is money – everything else is credit.” With that said, we won’t waste time discussing the merits of owning precious metals. If someone is still reading this let’s assume they already appreciate the case for owning hard assets but can you talk for a minute about the difference between coins and collectibles, also known as numismatics? 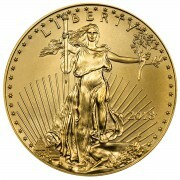 I love pre-1933 U.S. minted numismatic gold coins; in fact, they have always been my favorite way of owing gold. They tell a story of American history, of a different time long since passed. And the cool thing is that with a little effort you can actually find a nice straddle between gold content and the numismatic benefits collectors search for. My number one rule with numismatics is focus on the number of ounces accumulated and less on the grade or condition of the coin. Build a collection thru diversification of denomination, date, mint mark and type of coin instead of condition. Just remember that in the end, what matters above all else will be the number of ounces rather than the rarity of each ounce held. That is why we currently focus mostly on bullion coins. And while we’re on the topic, I strongly encourage your readers to stay away from any modern minted coins that claim to be numismatic because they carry a “First Strike” or a MS-69 or MS-70 grade. A rule of thumb is that if it is being advertised on TV then the easiest and most succinct way to describe those in almost every case is a RIP OFF. To me they are like lipstick on a pig and that about sums up my feelings on the value found in modern minted certified numismatics. E.A. : Can you talk to me a little about what sort of premiums an investor should be paying when buying physical? I’ve been quoted some pretty wide spreads when I’ve called dealers across the country but for the average investor who doesn’t have the time to call a dozen shops for quotes (and assuming the standard gold eagles and silver buffalos) what is an approximate range they should expect to pay? A.S.: It is important to note the difference between premium and commission. Premium is the amount of money it takes for a company like mine to purchase product. I guess you could call it the wholesale price. Currently we will pay clients approximately 3% above melt value to purchase gold eagles back from them. 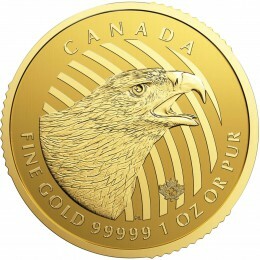 That is the current gold eagle premium. Premiums can swing wildly based primarily on supply and demand as well as the cost of production. As I mentioned earlier, this industry has the very strange habit of witnessing escalating premiums and product shortages, often when prices are coming down. Commission is the money we make that is on top of the premium we pay the market to acquire the product. Typically, commissions will range from two percent on a very small order all the way down to a fraction of one percent on large orders. The same principal holds true for any of the other products we sell. E.A. : Are there seasonal factors an investor should consider? Presumably, the premiums over spot would be lower when there isn’t a flood of people all rushing to buy at the same time so are there times of the year when you know your phone is going to ring nonstop and other times when it goes quiet? A.S.: I have been doing this for 27 years and there has always been some seasonality to the market with fall and winter activity typically being rather brisk, whereas spring and especially summer tend to be quieter. Unusually, the third quarter of last year (July, August and September) was the busiest three months I can ever remember in my career. The seasonality factor holds true when things are orderly, but perhaps it is now giving way to the more important factors driving people to purchase physicals to begin with. E.A. : This was helpful so thank you for giving us the time. Anyone interested in learning more can contact Andy directly at (612) 290-2729 or at andy@milesfranklin.com.